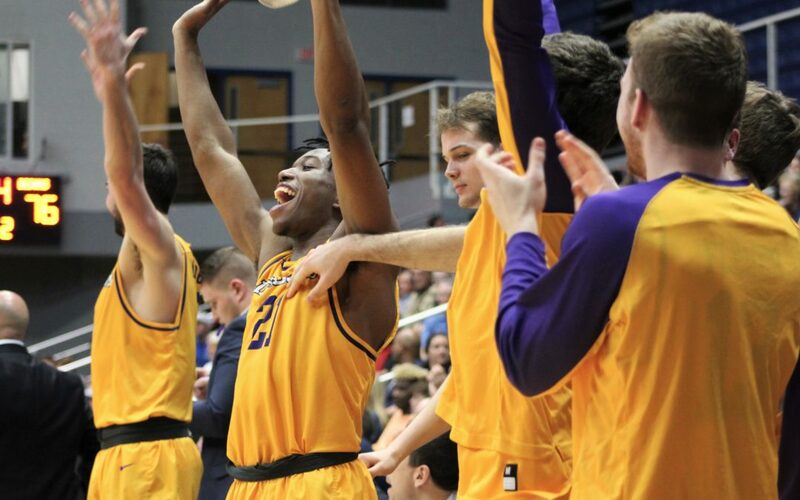 JACKSONVILLE, Fla. – The Lipscomb men’s basketball team just keeps on rolling through the ASUN. 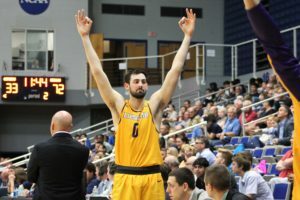 After five straight losses at UNF Arena since 2014, the Bisons easily dispatched North Florida, 92-55, with a dominating performance on both ends of the court Wednesday night. The victory extended Lipscomb’s win streak to 10 games – a record in the program’s Division I era. The Bisons won nine consecutive games during the ASUN portion of their 2008-09 schedule. Garrison Mathews led the team with 22 points and five three-pointers. Junior Michael Buckland was a perfect 5-of-5 from beyond the arc and set a new season high of 15 points. Lipscomb last won at UNF Arena on Feb. 1, 2014. The Ospreys hold a 13-5 advantage in the series over the last eight seasons, but the Bisons have now won the last three meetings. The Bisons (19-4, 10-0 ASUN) began to slowly build a lead in the early minutes before ending the first half on a 26-9 run to take a commanding 47-23 advantage into the break. North Florida struggled from the field and shot just 34 percent (20-of-59), but Lipscomb’s tenacious defensive effort routinely forced the Ospreys into bad shots. According to KenPom.com, the Bisons rank 14th in the nation in defensive efficiency (points allowed per 100 possessions). Senior forward Eli Pepper put an exclamation point on the victory with a two-handed slam off an alley-oop pass from Mathews with 11:10 remaining. Ahsan Asadullah (12 points) and Andrew Fleming (10) also finished in double figures for the Bisons. North Florida was led by Wajid Aminu’s 15-point outing, while J.T. Escobar and Noah Horchler each had seven. Lipscomb returns to Nashville this weekend for a date with Jacksonville (11-14, 4-6 ASUN) Saturday at 4 p.m. The Bisons escaped Swisher Gym with a 77-74 victory on Jan. 5 while Mathews sat out with a leg injury.